The annual Gold Coast Restaurant Industry Peer to Peer Awards (GCRIPPA), were held at the Southport Yacht Club on Wednesday 28th November 2018. Social Eating House and Bar attended along with many other well known Gold Coast restaurants. Social Eating House and Bar and our Executive Chef managed to take out three prize categories, being; Chef of the Year, Best Shared Plate, and Best Mod Oz Restaurant. Social Eating House and Bar was also the runner up for Restaurant of the Year. The event was a huge success and Social Eating House and Bar were proud to be in attendance and receive recognition from our peers. The GCRIPPA Awards were started in 2015 for peers working in the restaurant industry on the Gold Coast to recognise and reward excellence in food quality, service, value for money, and dining experience. The GCRIPPA Awards was the first awards ceremony in Queensland to allow the peer review of other restaurants. Currently, 45 categories are voted on by fellow restaurateurs, with hundreds of nominated restaurants participating each year. Who is Social Eating House and Bar? Social Eating House and Bar is a casual fine dining restaurant and bar located at the Oracle precinct in Broadbeach on the Gold Coast, Queensland. Social Eating House and Bar’s Owner and Executive Chef is a three time winner of the People’s Choice Chef of the Year Award and has also proudly received recognition by the Good Food Guide (GFG) via their Hat Awards and the Australian Good Food Guide (AGFG). The GFG is the number one destination for credible, independent restaurant, bar and cafe reviews and brings the latest in food news across Australia and the globe. The GFG has been running for 39 years and is the most reputable and eminent restaurant awards system running in Australia; having created the ‘hat system’. The GFG recognises and offers a holistic review of the ingredients, taste, presentation, technique, value and consistency of food provided by restaurants. Social Eating House and Bar are privileged to have been awarded GFG Hats three times in a row; a huge achievement that exhibits our years of hard work and commitment to excellence in food and dining experience. The AGFG Chef Hat Awards is another awards system that offers a great way for Australian chefs and restaurants to receive deserved recognition. Social Eating House and Bar has been awarded hats by the AGFG three years running, which again clearly demonstrates our commitment to excellence. Social Eating House and Bar has an inspiring and extensive international tapas menu, coupled with an exquisite intercontinental wine list and cocktail menu. Social Eating House and Bar draws influences from modern Australian as well as European flavours, with a focus on continued innovation and seasonality. Social have set the benchmark for the Gold Coast dining scene and continue to evidence our innovation and passion for casual fine dining by kicking goals each year at the GCRIPPA and with the AGFG. Social Eating House and Bar’s Owner and Executive Chef is Matthew Jefferson who is highly qualified, experienced and celebrated. Matt has been working in the Gold Coast restaurant scene since he was 16. Matt has a passion for modern Australian dining, emphasising seasonal and fresh ingredients. Matt loves to push culinary boundaries and has dedicatedly crafted Social Eating House and Bar to be the modern restaurant it is today. He is very proud to have received chef of the year recognition by his Gold Coast colleagues. As mentioned, Social Eating House and Bar took out three prize categories at the GCRIPPA, being; Chef of the Year, Best Shared Plate, and Best Mod Oz Restaurant. The Best Shared Plate Award is designed to recognise restaurants that offer share plates and tapas style food. Social Eating House and Bar pride ourselves on offering high quality tapas and smaller share dishes designed to be shared and enjoyed collectively. The Best Mod Oz Restaurant award is designed to recognise restaurants that offer modern Australian food. 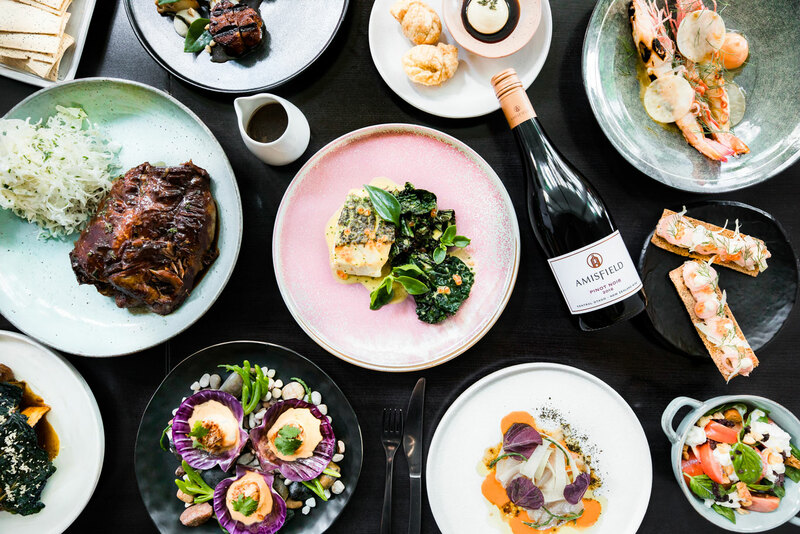 Modern Australian food has evolved over the past decade from a fusion of Asian and European flavours into its own Mod Oz category, and Social Eating House and Bar are thankful for being recognised as a leader in forging modern Australian flavours. Come in to see for yourself why Social Eating House and Bar continues to impress our peers at the GCRIPPA and at the AGFG. If you are searching for the best tapas and mod oz in Broadbeach, you cannot go past Social Eating House and Bar. At Social Eating House and Bar you will feel welcome by our friendly and passionate staff who are always excited to guide you through our wine list, food or cocktail menu and will ensure that you have a delicious and rewarding dining experience. All Rights Reserved to Social Eating House.